The Electric arm of the Hero Group, Hero Electric has introduced its new ‘Flash’ electric scooter in the country with prices starting at ₹ 19,990 (ex-showroom, Delhi). The new scooter is targeted at first-time electric vehicle users and will address commuting concerns for teenage or youth drivers, women, and senior citizens, who needed a compact, lightweight and cost saving vehicle for covering short distances. Hero Flash is so well designed that it has been given a steady body and balanced framework which makes is extremely easy for early beginners to ride with ease and comfort. The fact that Flash does not require a driving license or registration in order to drive it makes it extremely popular among the young, teenage and female drivers. 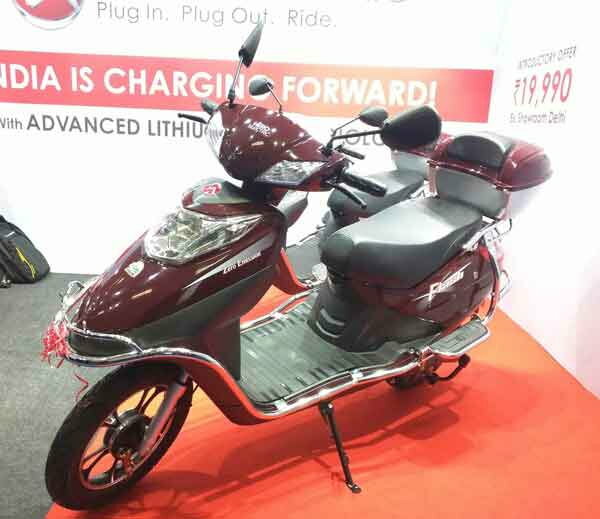 Hero Flash features a 250 Watt Electric Motor, coupled with a 48-volt, 20 Ah VRLA battery that covers a range of 65km/charge. Hero Flash is a E-scooter powered by a lead-acid battery. Hero Flash is so light in weight that it weighs only 87kgs and comes with features like alloy wheels, telescopic suspension and a full body crash guard. And Hero Flash is available in two beautiful colors of Red-Black and Silver-Black. Hero Electric is gearing up to launch two new products. The first model – a lithium-ion battery-powered high-end smart scooter with high connectivity and a Bosch powertrain – will be launched after Diwali this year. The second model – a low-speed, high-end e-scooter with a lithium-ion battery – will be launched before end-March 2018. Hero Flash is expected to Dispatch the E-Scooter from next week to Delhi dealerships and it will be introduced across India within a month, covering all 350 outlets of Hero Electric. The company plans to add an additional 100 dealers in CY2017 to take the figure up to 450 by the year end. Note here, that under Motor Vehicles Act, electric bikes which have power less than 250 watts and speed less than 25 kmph doesn’t need a driving license or registration for driving on road.